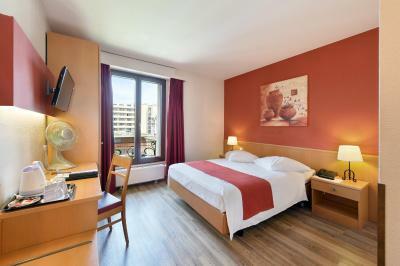 Lock in a great price for Hotel Aulac – rated 8.2 by recent guests! 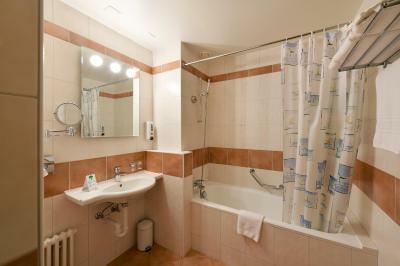 property is very clean but a little outdated (specially the area of breakfast). Cleanliness is a plus . carpets should be replaced. Quality of staff s not consistent. Some of them are great . 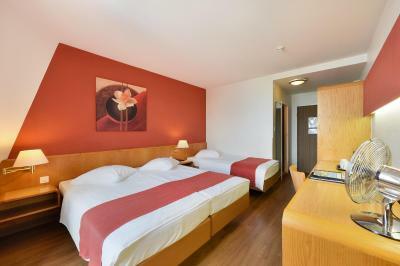 Location, cleaniness, close to metro- hotel provides public transport ticket fot its guests, close to lake, quiet enough to sleep well after tireing day. 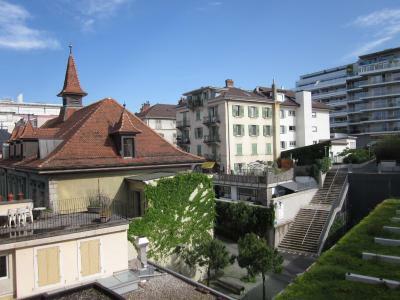 Location very good opposite lake Geneva. We had a lovely room with a view. 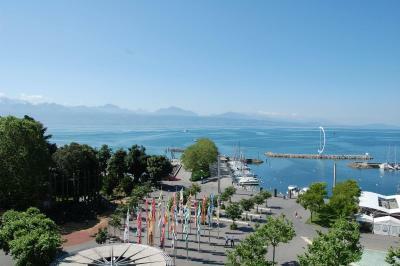 Exceptional location from the metro and the Ouchy dock. Lots of restaurants and a grocery store right around the corner. Literally pop out of the metro and walk around the corner to the hotel. Everything top notch. 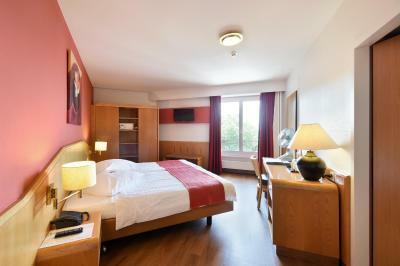 Also room I had included air conditioning, seems to be a rare privilege in Switzerland. Location of the place is fantastic. It's right after Ouchy port. Everything was great from the room cleanliness to the location of the hotel and the stuff. Gorgeous. 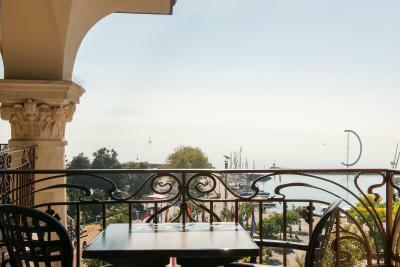 Large rooms, massive balcony, excellent location, very helpful staff.....a very enjoyable stay. Amazing central location staff are actually the best. Super nice and friendly and well versed with the place. 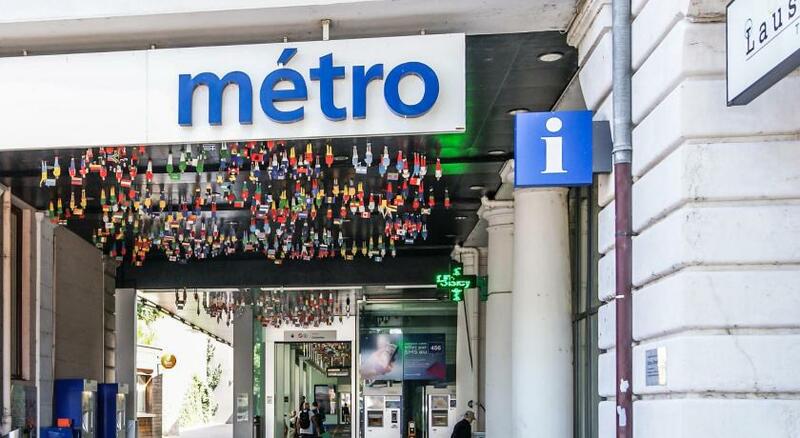 They offer you a metro ticket for free too. check in was smooth the room is decent and the location is exactly in the cetner and is super accessible to everything. Infront of it there is a marina and it is such an amazing place to be at. 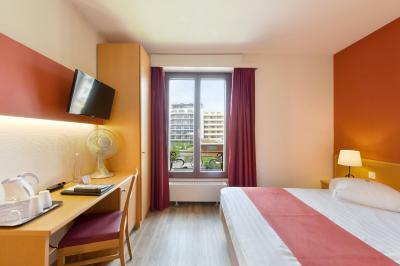 Hotel Aulac This rating is a reflection of how the property compares to the industry standard when it comes to price, facilities and services available. It's based on a self-evaluation by the property. Use this rating to help choose your stay! 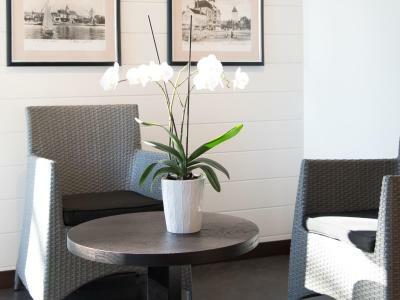 Discover the charm of Ouchy's lakeside promenades, parks and gardens, surrounded by Alpine splendor and only a few steps from the Olympic Museum and the metro stop at this stunning lake front hotel. 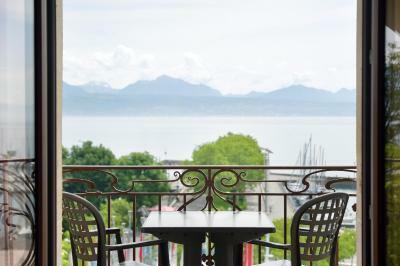 Located on the shores of Lake Geneva, the nonsmoking hotel is ideal for business and leisure trips; it is just 10 minutes away from the city center and railway station, and Geneva's international airport is just 40 minutes away. 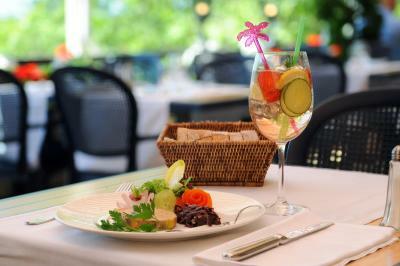 The Restaurant and Brasserie, Le Pirate, offers you informal dining and regional specialties from Lake Geneva. 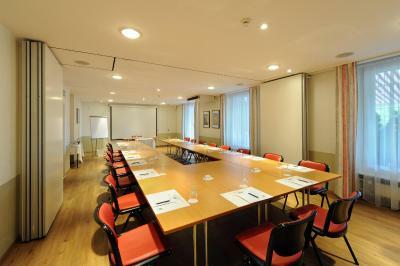 Offering the perfect venue for seminars, cocktails and banquets, for groups of 10-50 people, the hotel features a splendid view over the Alps and Lake Geneva. 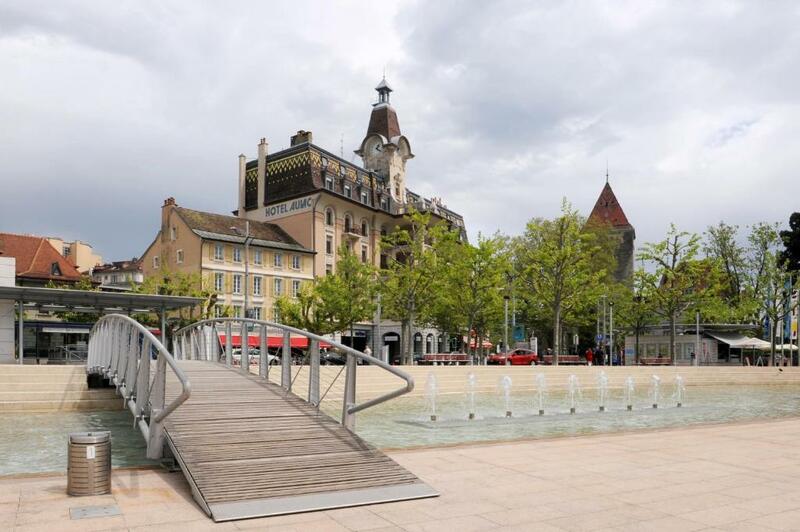 The hotel provides a complimentary pass for the public transportation network of Lausanne. 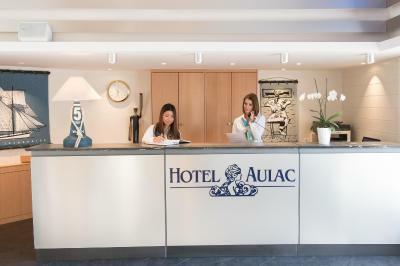 When would you like to stay at Hotel Aulac? 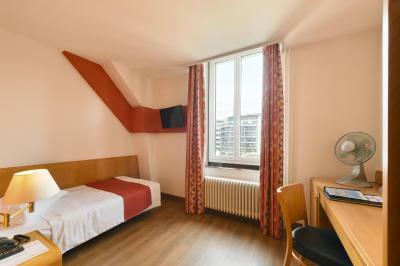 This nonsmoking room faces the city and features a private bathroom and a flat-screen TV with cable channels. Public parking is available at a location nearby (reservation is not needed) and costs CHF 18 per day. 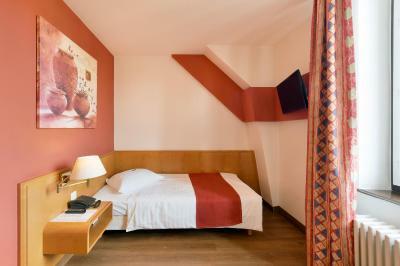 This nonsmoking room has views of the lake, a private bathroom and a flat-screen TV with cable channels. 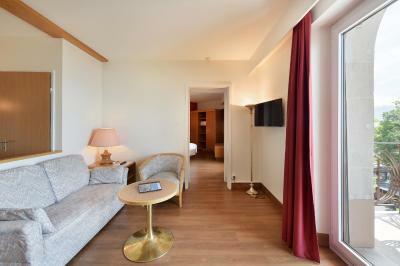 This nonsmoking room has views of the lake and features a balcony, a private bathroom and a flat-screen TV with cable channels. 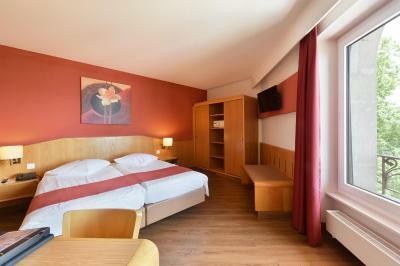 This nonsmoking room faces the lake and features a balcony, a private bathroom and a flat-screen TV with cable channels. 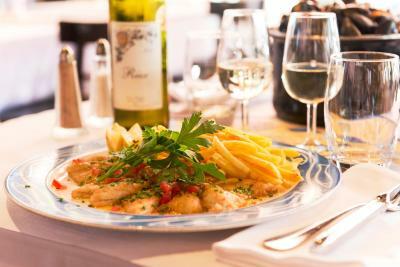 House Rules Hotel Aulac takes special requests – add in the next step! Hotel Aulac accepts these cards and reserves the right to temporarily hold an amount prior to arrival. Narrow space in the bathtub. 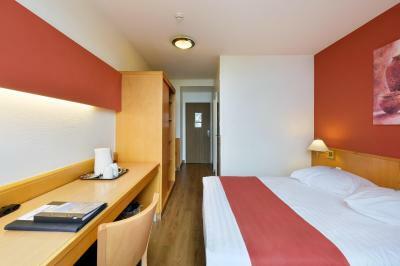 Great location, nice room, clean and tidy. The free public transportation tickets were a very nice surprise. It is a very nice place to stay, recommended. Room service failed to deliver breakfast at the stated time, but staff were quick to sort the problem. Beds kept rolling away from the wall when sitting up! 😀 No Parking on site. Great location and lake views. Helpful staff. Free travel card to get to the city centre. The upper edge of the window needs a thorough cleaning. 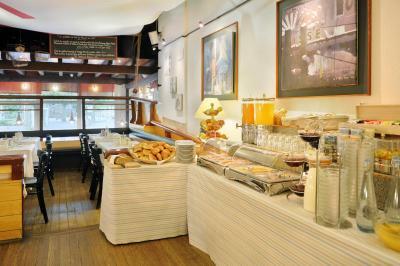 High quality authentic French and Swiss food in the restaurant. Very friendly reception. 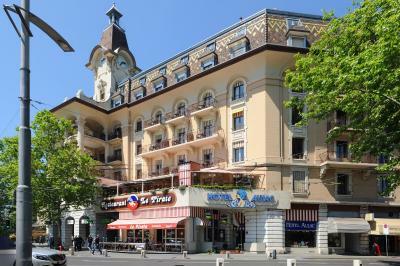 Unbeatable location right near the lake and immediately next to the metro station. 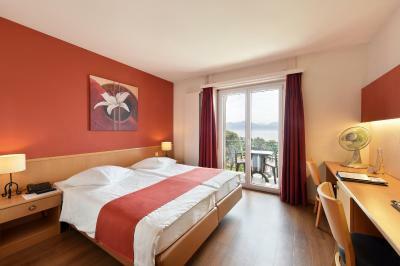 The room has a panoramic view to the mountains and lake. Room was spacious and had a lovely view of the lake. 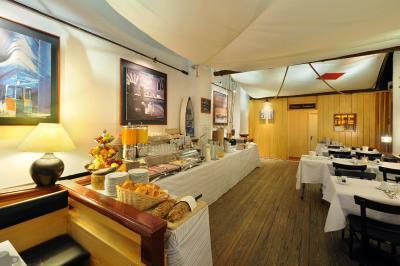 Breakfast was not included and very expensive for what is served. 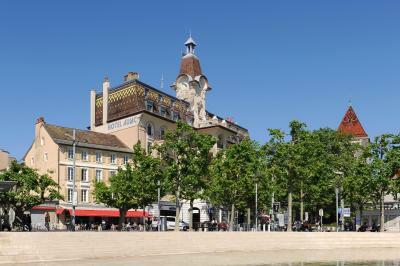 The location is perfect, 20s from Ouchy subway, facing the lake and its promenade. 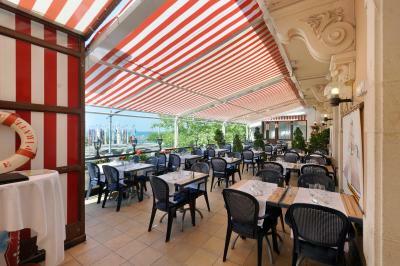 Balcony was very welcome to enjoy the spectacular and sunny view, including part of Chateau Ouchy, 50m away. The outside building is beautiful. 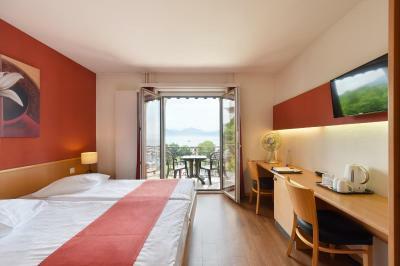 Excellent value for money for a lake view room compared to other offers around. 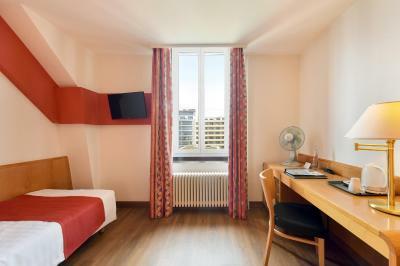 Rooms are not huge, but a baby bed could be used (and was free of charge). The hotel staff was rude at my arrival. 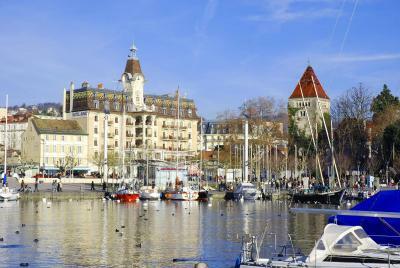 The location is wonderful, just in fron of the lake. The rooms are a bit old but fine. It’s a bit dated but it does the job. 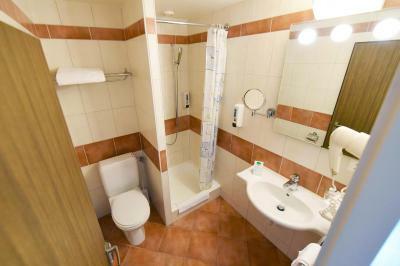 The location is great, right at the lake and just minutes away from restaurants, museums, etc.